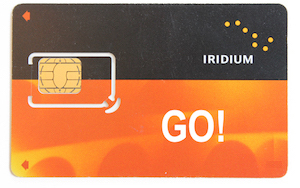 Postpaid SIM card & airtime plan options for the Iridium GO! Click here to select a MONTHLY Service Plan Option. The Outfitter Advantage: These plans are for the Iridium GO! hotspot. Activation is FREE. 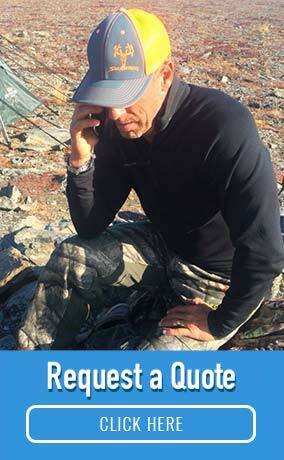 Voicemail and data capability are FREE. Your invoice will include detailed call logs sent to your email address unless USPS delivery is requested. Plans with short initial term commitments are available for seasonal applications. 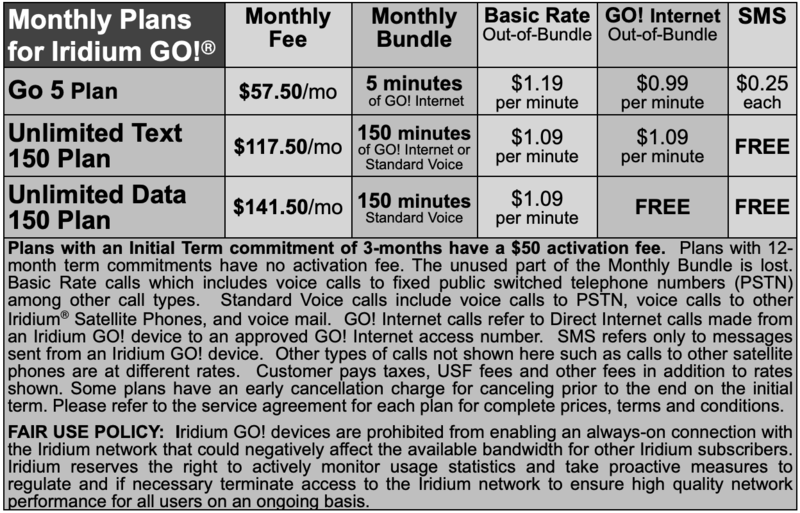 Plans with FREE SMS messaging and FREE GO! Internet Data are available. The Unlimited Text+150 Plan is ideal for applications such as vehicle tracking and also includes 150 minutes per month of Basic Rate phone calls. For just a little more per month, the Unlimited Data+150 Plan includes both free SMS messaging and free GO! Internet Data. It is a great plan for users with heavy email activity such as downloading GRIB files. 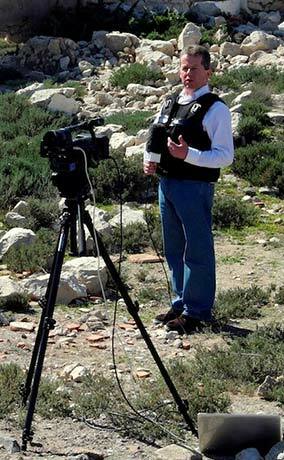 A Fair Use Policy does apply.